IT'S THAT time of the year when I hope you will be able to park up the truck for a bit and spend some time with your loved ones before another year on the road. In this job I get to meet some amazing people associated with trucking. Some are fleet owners and others are everyday truckies. I've met supportive partners, collectors and restorers, mechanics, company CEOs and many others associated with the industry. There are people and organisations out there who care what happens to trucking and the folk involved in it, and give freely of their own time to offer succour to those who need it. The common thread weaved through everyone I've met is their down-to-earth nature. I've not come across anyone who thinks or talks as though they are any better than anyone else in the industry. It's this common love of trucking that sets it apart from many other business, which thrive on dog-eat-dog and backstabbing. Long may this attitude persist. For without it this industry would no longer be great. This year I present the inaugural (and perhaps the only) Kermie Christmas Bells Awards. They are given to people I know and respect, who are dedicated to trucking and, by their mere involvement, make the industry a happier place to be involved with. The awards are, of course, totally biased but I swear I've had no kickbacks. Public Service Award: Craig Membrey of Membrey's Transport for bravely speaking out about youth suicide. 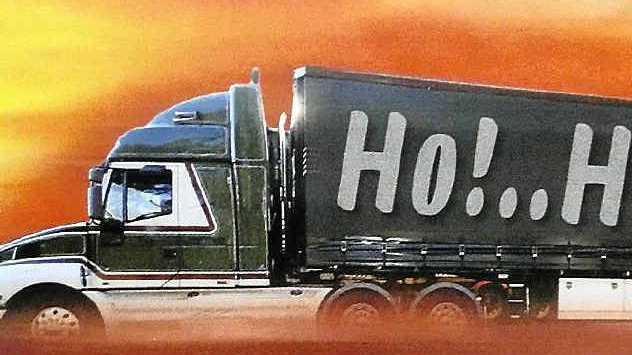 Industry Promotion Award: Jon Kelly and HHA for Mega Truckers - may it be repeated on free-to-air. Industry Service Award: Scania for promoting good driving through their Young Australian Truck Driver event.. Above and Beyond Award: Russ Timmins, Doug Parsons and Keith Thompson, who all retired from Rotary and running the Castlemaine Truck Show this year. Someone should have reminded them because they were all running around like blue-arsed flies throughout the event. Guess you just can't keep a good truck-lover down! Legends Award: Ruffy Doyle. Ruffy passed away last February. Every second person I meet knew and respected Ruffy. Industry Spirit Award: Doug and Pam McMillan, who go about organising the Tarcutta Truck Drivers Memorial each year without asking for anything in return. Industry Event Award: A tie between Crawlin' the Hume, organised by Rob French and Roger "Slasha" Marchetti, and Liz Martin for yet another terrific Trucking Hall of Fame induction and get-together. Trucking Family of the Year: The Cornwills. Troy, Wayne and Rick are just out and out good guys. Nothing seems to take the smile off their faces. Rig of the Year Award: Goes to A.J. and his 1962 Kenworth S. No roof lining, no gold dials, lots of surface rust, half a dozen coats of paint from various owners. Here is a truck in all its glory that is happy to display its past life for all to see. This is a truck that talks to you of a life of hard work, trials and tribulations. (More on AJ next year). Truck Driver of the Year Award: Goes to All of You who drive day and night to provide for Australia. Without you there is no food on the Christmas table and no presents under the tree. May you all have a happy Christmas, shared with mates and loved ones. To those I've met this past year, thanks for the stories and to those whose paths I've not yet crossed, stay safe until we do. PS: Those of you who may be driving along the Shepparton- Katamatite Rd (Cnr. Invergordon Rd) over the holiday period will come across a big sign in Christmas lights which reads: "Keep on Truckin". Paul and Brenda Witte have put it up and would like you all to honk the horn as you drive past, no matter the time of day or night.